Ready. Aim. Exhibit. That’s the plan. Lightning Strike strikes again. 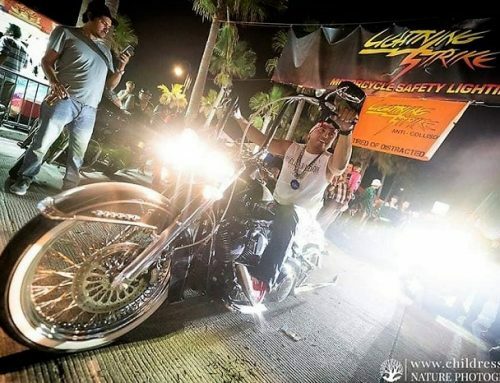 Our company is pleased to announce the 2018 AIMExpo exhibitors group will include a return appearance by Lightning Strike. 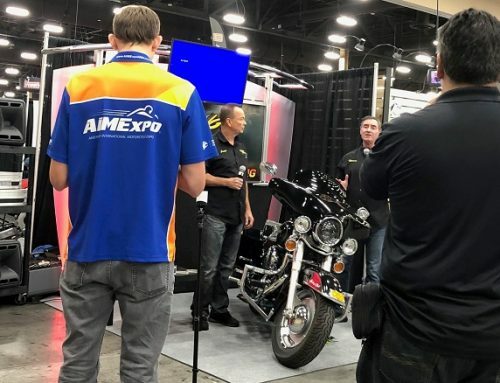 The 6th Annual AIMExpo presented by Nationwide is near. It will be held at the Mandalay Bay Convention Center in Las Vegas, Nevada from October 11-14, 2018. It’s the show of shows for the motorcycle industry. This is because many of the big-name manufacturers, popular aftermarket brands, and dealers, are on hand. 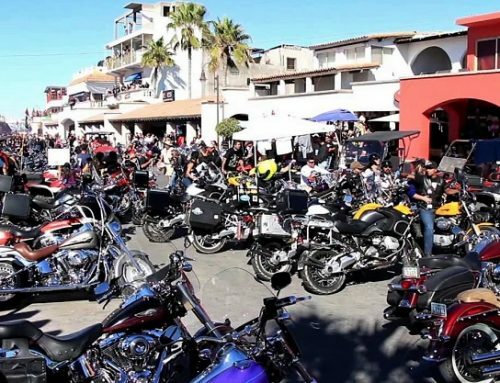 It’s also because they’re joined by media and motorcycle enthusiasts from around the world. Lightning Strike’s leaders roll into Sin City with something of a hot hand. In August 2018, they were granted a utility patent for their “Vehicle Visibility System” by the United States Patent and Trademark Office (USPTO). It provided a happy ending to the company’s costly and risky rolling of the dice nearly 5-years in the making. Most importantly, you’ll find Lightning Strike at Booth 965 on the expo show floor. You’re cordially invited to come by and check out B.O.L.T. It’s every motorcyclist’s best self-defense tool for staying safe and being seen by distracted drivers.